All the cool kids are wearing them. 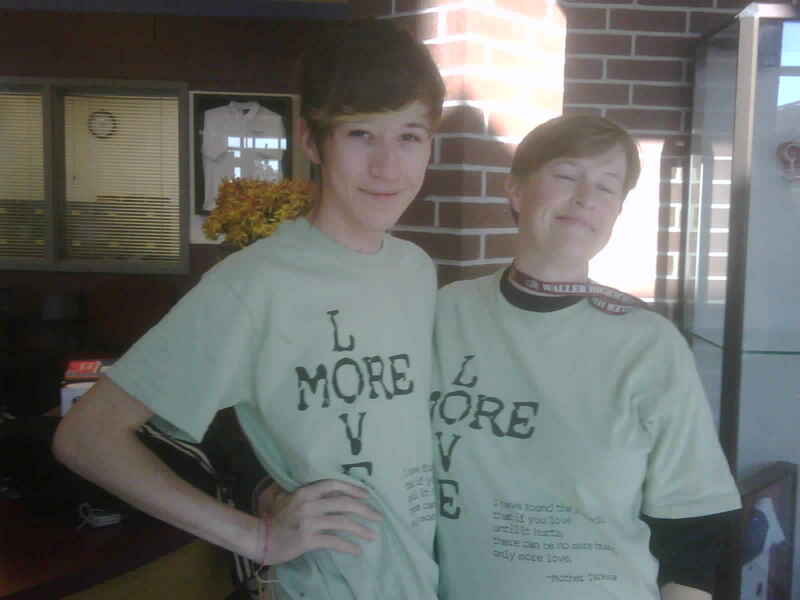 Keep the More Love t-shirt pics coming. A quick adoption update--still no news. We are still waiting for some new referrals. Although we had originally planned to just adopt one more girl and the twins were initially a surprise, now that we have that idea in our heads (and in Grace's) we are going to continue to pursue two referrals. Grace thinks she getting two sisters and who are we to tell her no? Below is a quick video of Manny and Brian. Manny hates to be told no. But if this keeps up he will be a pretty easy kid to keep in check. See how he reacts when Brian tells him "No Biting!